Colette patterns have unveiled their two new patterns for Autumn, The Juniper and The Anise. 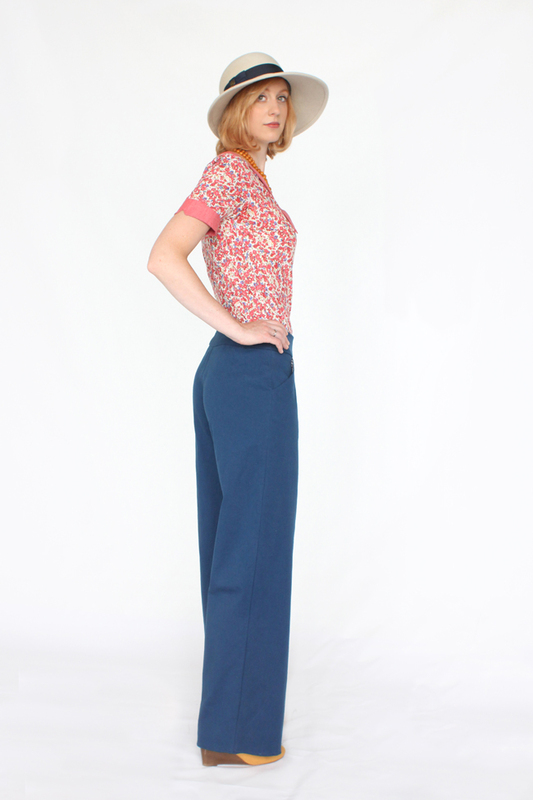 Juniper is a classic wide leg trouser, fitted through the hips and feature a wide tabbed waist. Next up is The Anise jacket. The first thing I though of when I saw this jacket was Betty Draper and Jackie O. Its a double breasted cropped jacket reminiscent of the 1960's styles. It's fully lined with single welt pockets and as there are no seams in front it's suitable for plaids and stripes. 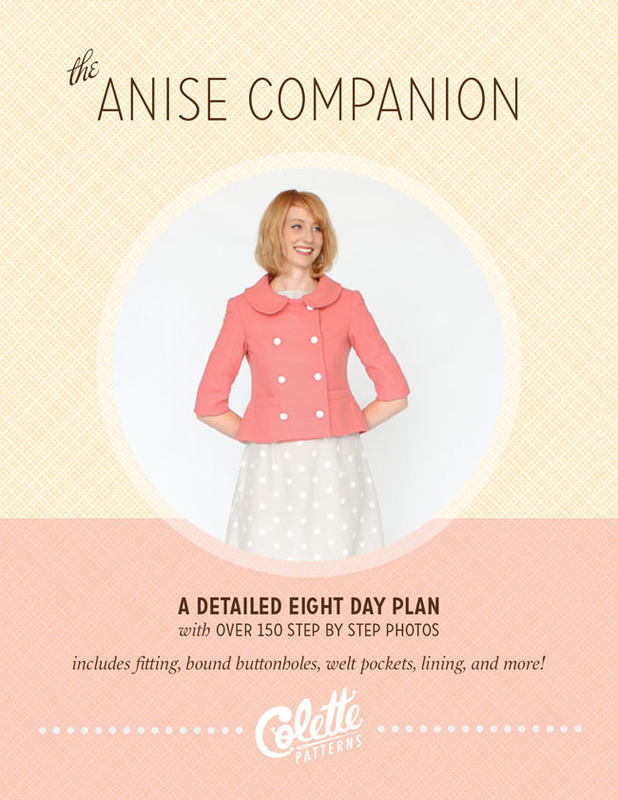 Sarai from Colette Patterns had planned to do a sew-a-long for this pattern given the many steps involved, however she decided there was so much info it would be easier to put it together in a little guide - The Anise Companion. It's a pdf download and if you purchase today it's half price which comes to $5. I purchased it for myself this morning and it is well worth the $5, very informative with lots of pictures. Another couple of fantastic patterns from Colette. 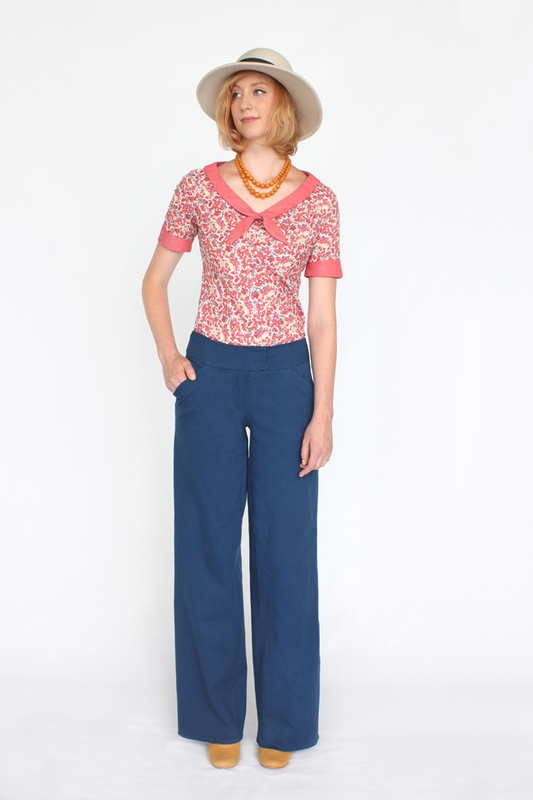 It's great to see more trouser patterns being released, as much as I love pretty dresses and love to wear them you cant beat a great pair of pants. I'll have to wait a while to try these patterns out as the weather is already pretty warm here, but maybe Juniper in white linen could be an option? What fabric combos do you picture for these patterns? I saw the release on the Coletterie, The new patterns are lovely. Looking forward to seeing your finished garments.